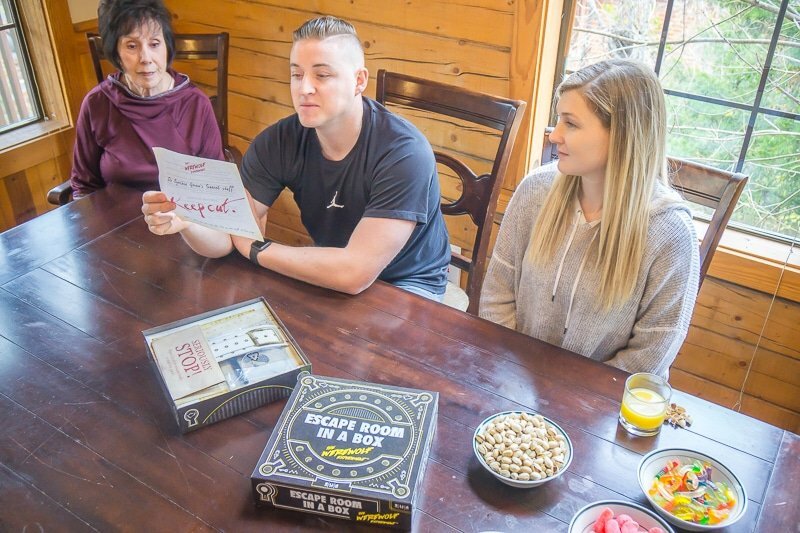 If you’re looking for the best escape room board game, look no further than Escape Room in a Box! It’s the perfect entertainment for an adult game night and a great way to experience the thrill of an escape room without ever leaving home! While this post is sponsored by Mattel, all opinions are my own. It all started a year ago. 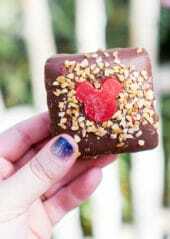 I was with my adult siblings (and husband) on an epic trip to Orlando for coasters and a family-oriented conference. We had one night free during the conference before our theme park tickets were ready, so we decided to check out one of the local escape games. We’d only ever done one other escape room before, and it was an absolute disaster. I blame that on the room itself, not the group. I was determined to try another room because I knew that disastrous experience couldn’t be the end of my escape room experiences. We escaped from the room with about 30 seconds to go. And immediately booked another room for an hour later. And did two more escape rooms the next day. We were hooked. Fast forward a year and I’ve now done over 25 different escape rooms throughout the country. As much as I love going and actually physically being locked in a room, I know it’s not feasible to do all the time. For one, escape rooms can be expensive – especially if you’re required to book out an entire room to have a private experience. It also means you have to leave your house, have to book an escape room ahead of time, and escape rooms aren’t great for anyone who has anxiety or claustrophobia issues. 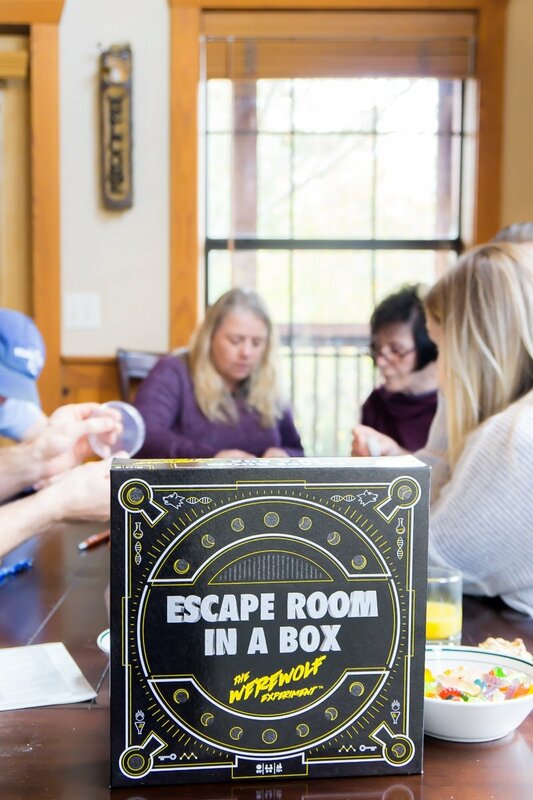 That’s why I love that now there are great escape room board game options – perfect for an adult escape game night right in your very own home! 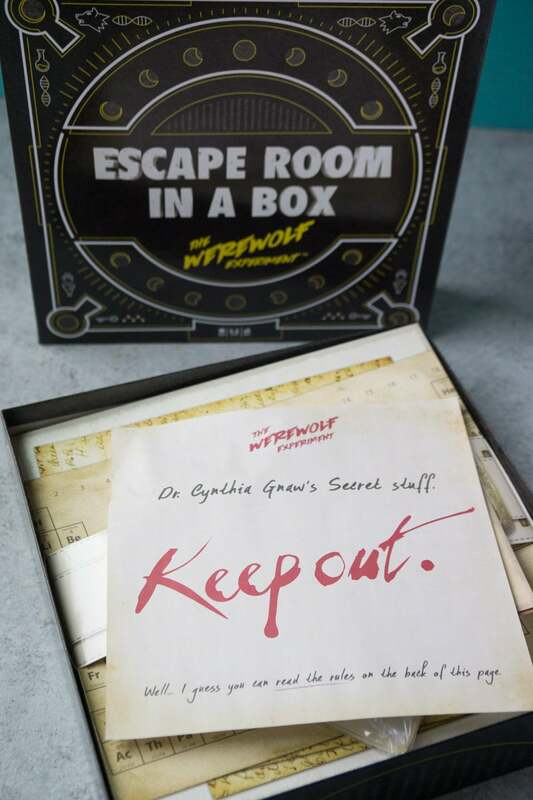 And out of the three different games I tried, by far the best and most realistic escape room option is Escape Room in a Box: The Werewolf Experiment. 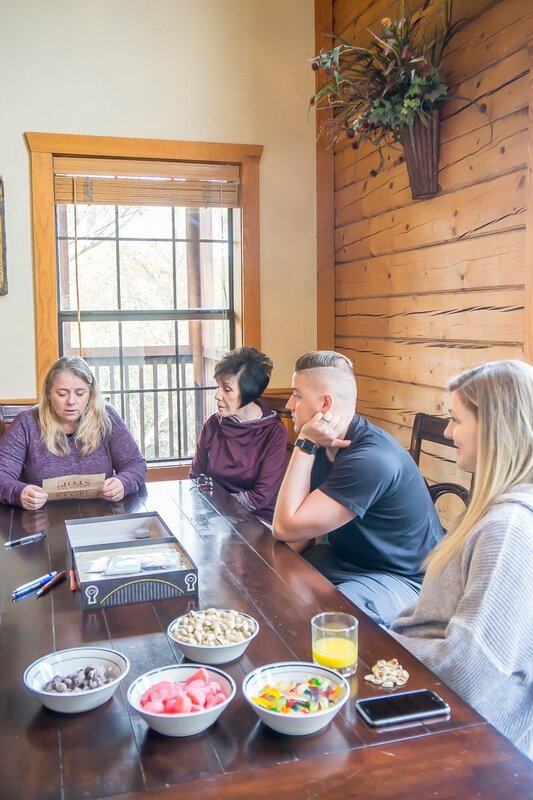 While the other games really only got 2-3 people involved, I played Escape Room in a Box with my multi-generational family this past weekend and all six of us playing were heavily involved in solving all of the puzzles throughout the game. And we totally could’ve had up to eight people doing things because puzzles were sitting around waiting to be looked at. Watch my Instagram highlight to check out our experience playing Escape Room in a Box: The Werewolf Experiment! The other thing I absolutely loved about Escape Room in a Box is that not only were there your typical paper puzzles (crosswords, fill in the blanks, etc.) they actually had a number of physical puzzles as well. Another cool feature – if you have an Alexa enabled product, Alexa can actually host your game and give you hints if you want them! 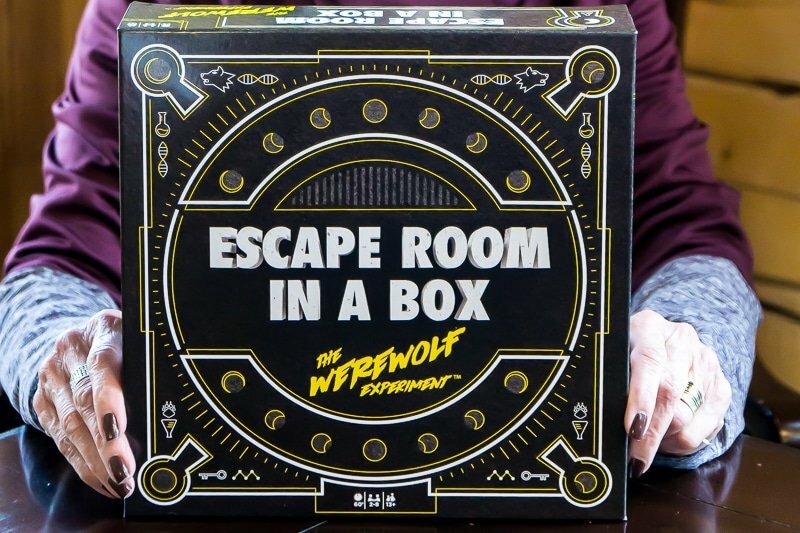 So if you want an authentic escape game board game, check out Escape Room in a Box: The Werewolf Experiment next time you’re at Target or pick it up online here. I put together some tips and helpful info for anyone wanting to try out Escape Room in a Box! I know I always look at reviews and feedback before I buy games so thought this might be helpful when deciding if this is the right escape room board game for you! Who should play Escape Room in a Box? Escape Room in a Box is recommended for ages 13+, but I personally recommended it for adults or teens. 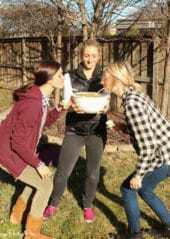 We had six grown adults and still almost didn’t finish in the hour! 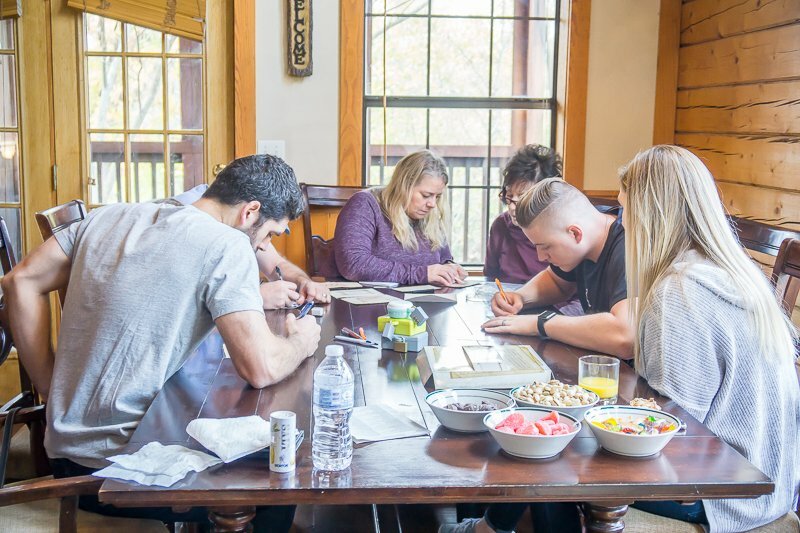 Escape rooms take a lot of communication and escape room board games are no different – so I recommend at least some adults playing the game. And as I mentioned before, Escape Room in a Box is a great option for people who don’t like the dark, are claustrophobic, or have other anxiety issues that would prohibit them from doing a live escape room. What do I need to play Escape Room in a Box? To play Escape Room in a Box, you really don’t need anything other than some pens and an hour-long timer. We just used someone’s phone, no need to get something fancy. Everything else is provided within the box. And in fact, you can’t even set up anything beforehand – you can’t open anything until you’re actually ready to play and start your timer. That’s my kind of game night – no preparation necessary! What comes with Escape Room in a Box? Other than the things mentioned above, Escape Room in a Box comes with everything you need to complete the game. 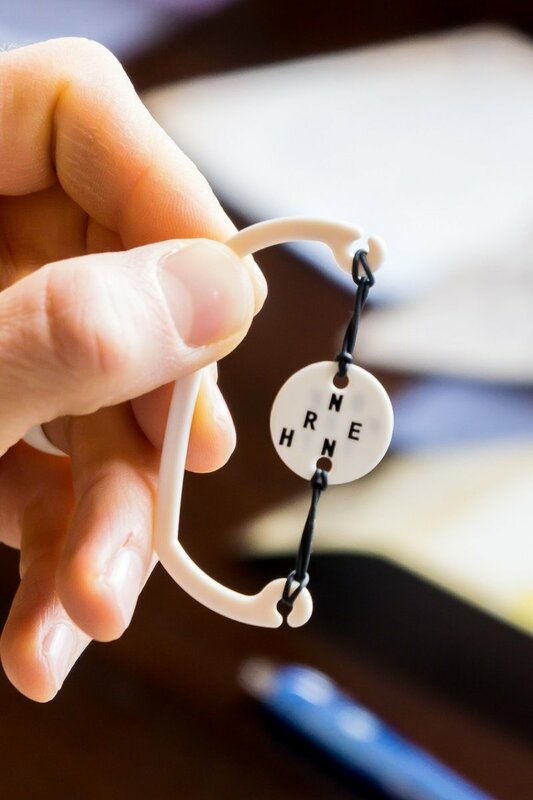 That includes paper puzzles, physical puzzles, locks, and more – with plenty of activities and puzzles to keep eight people engrossed for an hour, or until you finish the game. What happens if you get stuck? 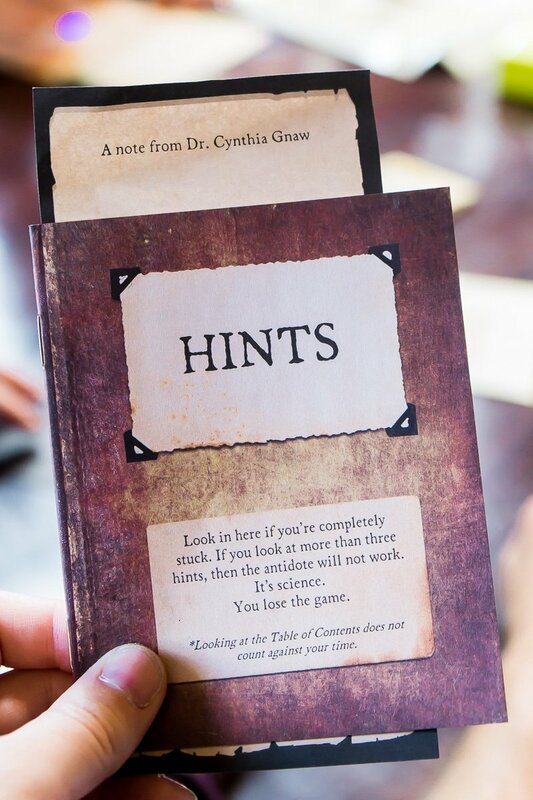 If you get stuck, Escape Room in a Box comes with two different sets of hints that can help you start moving in the right direction again. 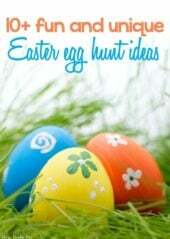 You don’t have to use the hints, but they’re available in case you need them! 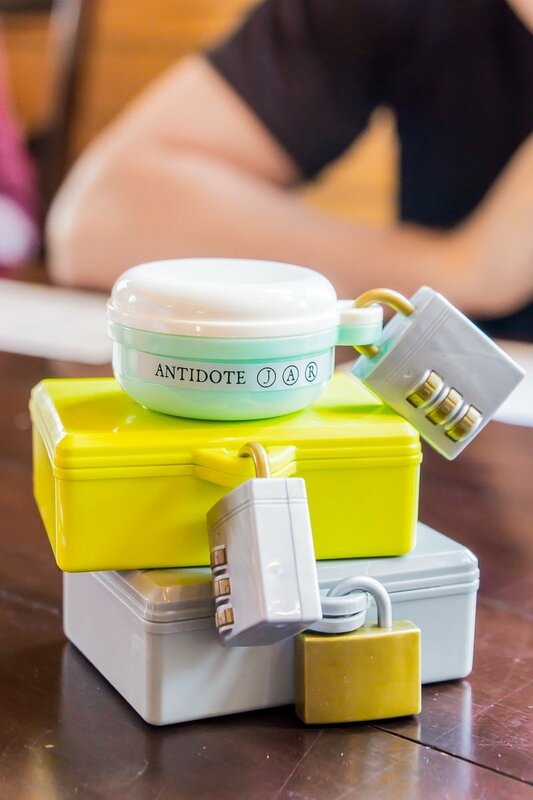 Where can you get Escape Room in a Box? Get Escape Room in a Box: The Werewolf Experiment in store at Target or online at Target.com here. 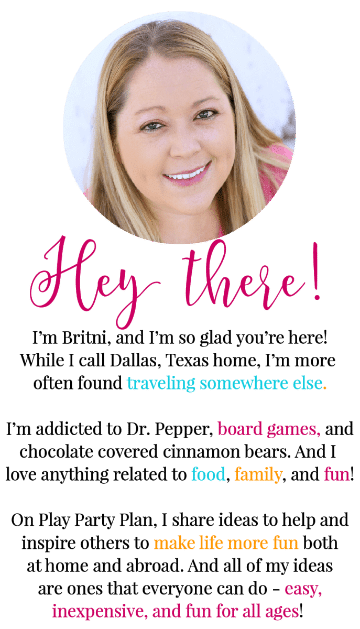 Don’t forget to pin this escape room board game post for later!